Canale is a small neigbourhood restaurant in the cozy Atwater Village. We had dinner there years ago and for the longest time I didn’t know they open for brunch on the weekends. 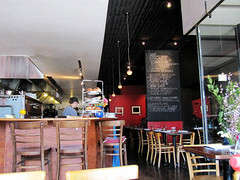 I was delighted to see that their brunch menu looks interesting and is different from the usual LA breakfast flare (i.e. egg benedict, generic omelette, cobb salad..etc). The place is much more chill on a Saturday morning than it is at night which is usually completely packed. Very delicious! It’s a rich and hearty. Not sure how they made the onion (with balsamic vinegar?) but they added a nice acidic taste to the meal for balanced. Probably one of the best salad I’ve ever had! 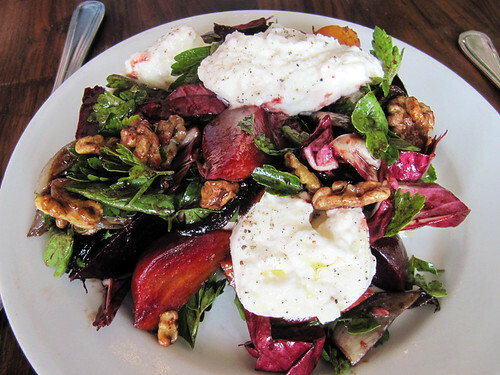 It’s got two of my most favorite food: beets and Burrata (mozzarella cheese with cream) and they’re a great combination. The light vinaigrette dressing was tasty and love the caramelize onion. A very flavorful dish which you would enjoy till the last bite. Wow this was incredibly amazing! It’s a pancake but it’s baked in a dish so it’s more like a souffle. It’s airy and fluffy inside. The meyer lemon cream was so good too. 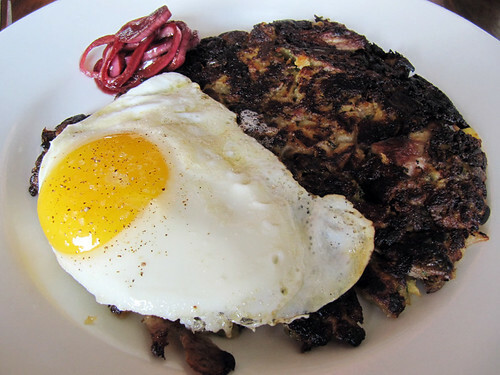 You have to eat it fast as the pancake “collapse” as it cool down. Highly recommend, a MUST get! We were amazed at how tasty the brunch was! Especially since our impression of the dinner from many years ago was average, perhaps we were too quick to judge and should have gone back to try their dinner again. 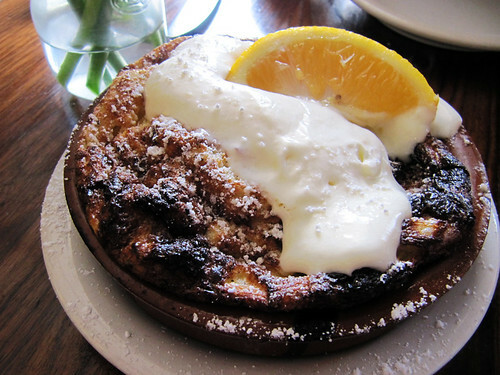 Next time you go, be sure to try an order of the French toast — it’s my favorite version in the city. For brunch, I really love their sticky buns. Ah so their dinner is not as good, just as I remembered. Yeah definitely will try the french toast and the sticky buns!